THE METHOD THAT BRINGS TRIPLE RETURN. Imagine various independent business service providers, who share a unique advanced work method . 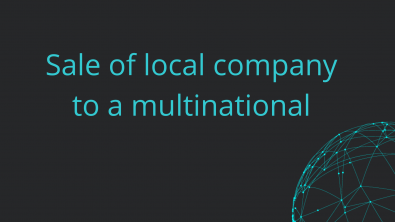 Thus, they act in harmony to offer integrated , more comprehensive and safe multidisciplinary solutions for your business. Dutra’s Method seeks quality and reliability in professional services provision . The service providers that adopt the method undertake similar practices, processes and policies. Therefore, those different firms work in sync, extending their solutions according to the needs of each client, besides offering different professional perspectives , optimizing costs and avoiding mistakes. PROFITABILITY by a better use of company’s resources, strategies implementation and control. Do you want to deploy Dutra’s Method in your own firm? You also have this option. We provide support for professional firms interested in having the advantages of Dutra’s Method in their own work processes. Contact us. To make decisions on business management based on concrete and reliable information. Legal foundation and planning. The result of improving company’s capacities and preparation to find and take opportunities, with solid basis to make right choices. "Excellence is only achieved when multidisciplinary knowledge comes together." Vinicius Martins Dutra holds degrees in Law, Accounting and Business Administration, with specializations in several areas, such as Tax Law, Corporate Finance, Corporate Governance and Risk Management. He began as a trainee at the Sao Paulo Bank , later bought by Banco Bradesco, where his “out-of-the-box” thinking soon led him to be a manager. Combining the technical knowledge and theoretical background to entrepreneurial and innovative thinking , in 2003 he began planning a structure of business consulting services. The company was formally incorporated in 2006, followed by the accounting office opening in 2007. With bold vision, in 2010 he acquired 100% of the firms’ equity and strengthened Dutra’s Method, aiming at quality in these companies’ services. Why the Dutra Method ? Vinícius developed the Dutra Method because he believed that excellence in the provision of professional services exists only when the different areas of knowledge are integrated and work together. Recently, other companies joined Dutra’s Method, keeping the integration of areas, the adoption of good professional practices, technical independence and freedom of action of each adept company. 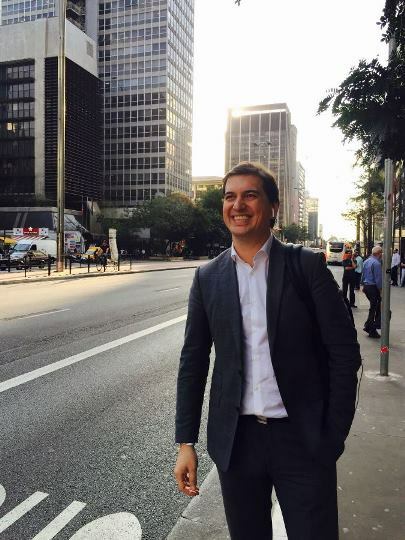 Today, Vinicius is a company advisor and works in the multidisciplinary strategic approach to guide businesses’ decisions, with strong performance in projects of professionalization and profitability of companies, M&A transactions, as well as advising companies from abroad that seek to establish themselves in Brazil and vice versa. Vinicius is an enthusiast of entrepreneurship in organizations and seeks to encourage the potential of people, since he knows that much of his success is because one day they believed him! 2006 Dutra Business Management was incorporated, the first company to adopt the method. 2007 Dutra Accounting was incorporated and adopted the method. 2009 Extensive reformulation of a big client, the Aplub Foundation for Educational Loans (currently named Fundacred) - Alpar do Brasil, leading national distributor of sports shoes and clothing, starts working with firms that adopt Dutra’s Method. 2011 Dutra Law firm is incorporated and adopts Dutra’s Method. 2013 Dutra’s Method is applied on the project that brought Hyundai Elevators to Brazil. - Dutra BackOffice Services is incorporated and adopts Dutra’s Method. 2014 Dutra Business Management is accredited by Caixa Participacoes S.A. to provide a number of advising services in M&A deals. 2016 Firms adhering to the Method participate on the process of Indian Mahindra Tractors’ entrance in Brazil. 2017 Dutra Educational Intelligence is incorporated and adopts Dutra’s Method - “Evoluir” Project, from Dutra Accounting, is launched, aimed at small businesses. 2018 Dutra Analytics is created and adopts the Method. 2018 Dutra Law firm goes through a work with Social Security Benefits, aimed at the entrepreneur and the team, with a differentiated service in a technology of effective disclosure, security and qualification in favor of the taxpayer. Dutra Law Firm stands out in the consulting market with legal solutions for the business area, in the training and qualification of your professionals. 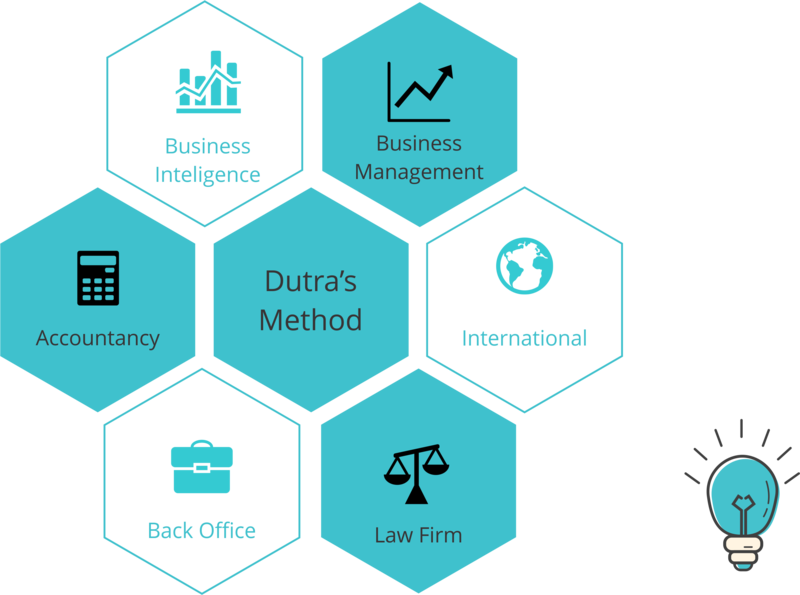 Dutra Accountancy guarantees quality and reliability within a work mode widely systematized in practices and policies. Dutra Business Management provides consulting services to companies, present in projects and processes that contribute to the success of the business, through planning, organization, control and systemic, critical and entrepreneurial thinking. Dutra Back Office provides administrative support to companies and professionals, to generate solutions with quality and assertiveness, valuing excellence in the execution of processes. Dutra Analytics is the exact support in the professionalization of business management, based on the fastest and most accurate information. It creates the foundation for improving your business knowledge and evolution in the accuracy of decisions. Dutra Bioenergy provides energy consulting, aiming at innovative solutions, with emphasis on the rationalization of energy expenditure. It also acts in the accomplishment of new businesses, investments and projects, attending to consumers and generators of different sizes. SEE HOW A MULTIDISCIPLINARY METHOD HELPS CREATE SUCCESS. Scenario : Mergers and acquisitions are a way to make business grow and gain strength. In this project, company managers did not have someone in their family or company to succeed them in their retirement. The solution (1): Company’s finances and internal processes were organized, as well as the accounting was adjusted to international standards, and strategies were developed to add value to the business. The result (1) : With the gain of visibility in the market, the company received an acquisition offer from a multinational that wanted to increase its presence in Brazil. The solution (2): ASupport was provided during negotiations, and the partners were advised on means of protecting their assets, maximizing results and security in the transition to the buyer. Result (2): The sale was completed and the partners remained as company directors for three years. Scenario : Having an internal accounting area in the company allows more detailed records and financial controls and generating information with greater agility and personalization. Accounting becomes integrated with other enterprise information tools and all the control and management system are benefited. 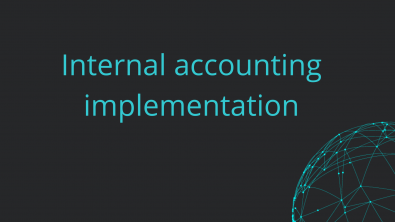 The solution: In a project that united accounting advisors and business management consultants, an internal accounting department was created in the company, its processes and controls were designed, and a smooth transition was held from the external accounting firm to the new internal accounting area. In this new process, company’s accounting employees received training, through knowledge transferring and immersion that lead to better results, contributing and facilitating the internal routines. The result : In this new scenario, the company has more detailed, accurate and fast financial information, as well as security in compliance with legal obligations, with permanent technical advice and audit. 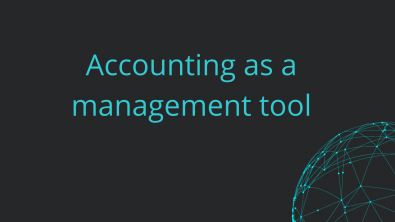 Scenario : Poor accounting practices and poor internal processes make accounting a mere obligation fulfillment, not a tool to better plan and control the business. The solution: In this project, a new chart of accounts was designed considering the company profile . This chart of accounts was linked to other management controls, such as costs, pricing and sales goals and Balanced Scorecard indicators. This made it easier to read and understand accounting information and make it possible to the Board to receive information as desired. Including the improvement of financial statements’ structure, technical procedures and internal administrative processes, we were able to generate financial statements that began to provide important information for management analysis and decision making. The result : The client now has regular bookkeeping and uses their financial statements to support the management of their business. Scenario : In a medium-sized company, market conditions required that large investments were made to take advantage of a good opportunity. The partners and the company did not have the availability of capital to invest, but the prospects of return were very attractive and the risks moderate. The solution: A bold compnay’s growth project was prepared. With the development of a vision, we could analyze their economic viability and identify which investment and efforts would be needed. Based on this information, a consistent presentation was created, justifying the purposes and how they goals would be achieved . The project was presented to an international fund and the capital was raised. 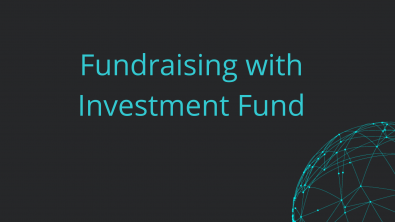 The result: The fund has become a minority partner of the company and, in addition to investing in cash, contributes with its expertise and network. With the presence of this new partner, the company improved its internal controls and became more professional. Scenario : A major distributor of sports products has been serviced for more than 8 years by some of the firms that adopt Dutra’s Method . Throughout this period, the firms participated on integrated solutions to promote business growth. Having a new facility, much larger and adequate to the internal processes, was a necessity so that the company was more efficient and could grow even more. 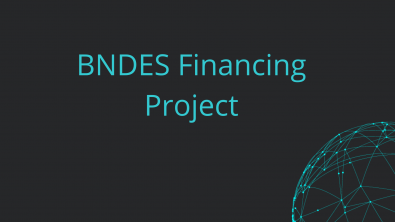 The solution: With the design of the new facility and the budget for construction and machinery, the firms adherents of the Method set up a structured financing project with BRDE, with funds from the National Development Banl, where more than BRL$ 9 million were raised at very attractive rates. The result : The 12,000m² building was built and in three years the company increased its revenues by 49%. Seja bem-vindo ao nosso website (“Site”). Este Site é controlado e operado por Dutra Gestão Empresarial (“Dutra Gestão”,) empresa com sede na Rua Tupi, nº 758, Terceiro Andar, Conjunto 50, Bairro Centro, Novo Hamburgo, RS, CEP: 93.336-010, Inscrito no CNPJ sob o nº 08.202.380.0001-59. Por favor, leia atentamente os termos e condições de uso abaixo estipulados (“Termos de Uso”) para que você possa usufruir de nosso Site e de todos os serviços oferecidos pela Dutra Gestão. O site tem por objetivo apresentar para os clientes da Dutra Gestão e do público em geral informações institucionais sobre nosso escritório de consultoria, bem como a conteúdo de informação produzido pelo escritório. Caso você não concorde com quaisquer dispositivos dos Termos de Uso, não acesse ou utilize o nosso Site. Seu acesso e utilização representa sua aceitação integral e incondicional aos Termos de Uso. Para fins destes Termos de Uso, “Usuários” ou “Vocês” são todas as pessoas que de qualquer forma interagem, acessam ou utilizam o Site ou os nossos serviços. Esse Site pode apresentar informações, textos, dados, imagens, fotografias, vídeos, sons, ilustrações, nome, logos, marcas e informações diversas sobre a Dutra Gestão, suas práticas e informações gerais de certas áreas da Administração, que poderão ser fornecidas na forma de documentos ou outros aquivos de mídia (“Informações”). Salvo disposição expressa em contrário, as Informações não se destinam a, nem constituem, serviços ou recomendações legais, de gestão administrativa e de negócios, contábeis, econômicas, comerciais, financeiras, tributárias, negócios internacionais ou afins. As Informações são fornecidas apenas com o intuito informativo e não deverão ser consideradas como opiniões ou pareceres aplicáveis para determinada situação. Se você precisar de recomendações ou serviços sobre um assunto específico, entre em contato conosco. Embora procuramos garantir que as Informações contidas neste Site sejam precisas e atualizadas, não nos responsabilizaremos pelos resultados de qualquer ação tomada com base nas Informações disponibilizadas. Ademais, não garantimos que o Site ou qualquer das Informações sejam disponibilizadas de forma ininterrupta ou que quaisquer defeitos serão corrigidos. Envidaremos esforços razoáveis para incluir informações precisas e atualizadas no site. No entanto, não oferecemos qualquer garantia ou assumimos qualquer responsabilidade quanto à confiabilidade, exatidão, validade, atualidade, utilidade, integridade, pertinência, oportunidade ou abrangência de tais informações. Em nenhuma hipótese a Dutra Gestão será responsável por perdas indiretas ou quaisquer danos decorrentes da perda de uso, dados ou lucros, seja em contrato, ato ou de quaisquer outras formas, decorrentes de ou em conexão com o uso deste Site ou qualquer das Informações. A Dutra Gestão afasta todas as garantias e/ou responsabilidades, expressas ou implícitas, decorrentes ou relativas à utilização deste site e de seu conteúdo, incluindo garantias de possível adequação a uma finalidade específica. Salvo se diversamente informado, a Dutra Gestão é detentora dos direitos autorais de toda a informação disponibilizada no Site, bem como de todos os direitos de propriedade intelectual e direitos conexos, incluindo, mas não se limitando a direitos sobre o banco de dados, marcas, pedidos de registro, etc. Exceto se Você tiver a permissão expressa e por escrito da Dutra Gestão, Você não deverá utilizar o nome, marca ou logotipo pertencente à Dutra Gestão ou a ela cedidos, especialmente as que tenham sido acessadas a partir deste Site. Você tem permissão para fazer o download, imprimir, armazenar temporariamente, recuperar e exibir as Informações do Site na tela do computador ou dispositivo móvel, imprimir páginas (mas não copiar) e armazenar essas páginas em formato eletrônico no computador ou dispositivo móvel para uso pessoal ou para uso interno em sua organização, mas sempre preservando a informação acerca da autoria das Informações do Site. Você não tem permissão (exceto quando receber permissão expressa) para adaptar ou modificar as Informações neste Site ou qualquer parte dele e as Informações ou qualquer parte delas não podem ser copiadas, reproduzidas, republicadas, baixadas, postadas ou transmitidas de qualquer outra forma a terceiros para ganhos comerciais ou mesmo informativos, salvo prévia autorização expressa da empresa detentora da autoria da Informação. Nenhuma disposição será interpretada como concessão aos Usuários de qualquer direito, título ou interesse em qualquer propriedade intelectual da Dutra Gestão. Não fornecemos qualquer garantia com relação ao conteúdo e serviços disponibilizados no site. Sem qualquer limitação, todo o conteúdo e funcionalidades do site são disponibilizados sem garantias de qualquer espécie, sejam expressas ou implícitas, incluindo, entre outras, garantias de adequação para um objetivo em particular. 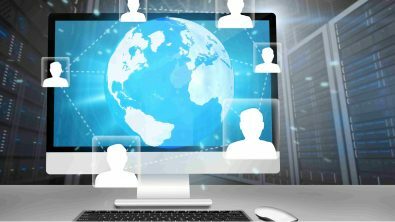 A Dutra Gestão não é nem será responsável (a) pela qualidade da conexão do computador e/ou dispositivo móvel do usuário à internet em qualquer circunstância, (b) pela disponibilidade ou não dos serviços de acesso à internet prestados por terceiros, (c) pela impossibilidade de utilização de quaisquer informações ou serviços acima mencionados em razão da incompatibilidade da configuração técnica do computador e/ou dispositivo móvel dos usuários, (d) por quaisquer danos sofridos pelos usuários em razão da utilização do aplicativo, e (e) pela reparação de danos de qualquer natureza causados pela quebra de privacidade ou segurança de dados dos usuários durante a conexão de seu dispositivo móvel à internet através de terceiros. Qualquer tipo de informação enviada por você através do correio eletrônico ou do contato, disponível no Site, não será tratada como confidencial. Comunicações realizadas através do Site ou também via correio eletrônico não constituirão relação cliente – gestão. A Dutra Gestão poderá fornecer links para outros websites da internet ou outros recursos. Assim, estes links serão disponibilizados como uma conveniência ao Usuário e, como não temos controle sobre tais websites ou recursos externos, o Usuário reconhece e concorda que a Dutra Gestão não é responsável pela disponibilidade desses e não endossa ou se responsabiliza por qualquer conteúdo, propaganda, produtos, serviços ou outros materiais contidos ou disponibilizados por meio de tais websites ou recursos. O Usuário expressamente reconhece e concorda que a Dutra Gestão não será responsável, direta ou indiretamente, por quaisquer perdas e danos que sejam efetiva ou alegadamente causados por, ou em conexão, pela confiança depositada em tais Informações, bens e serviços disponíveis no ou através de tais websites de terceiros. O Site poderá conter links para websites externos cujas políticas de privacidade não são de responsabilidade do escritório. O Site não se utiliza de “cookies” para coletar informações pessoais ou de navegação. Nossos provedores poderão, contudo, coletar dados genéricos e com finalidades puramente estatísticas. A Dutra Gestão se reserva ao direito de, a sua discrição, alterar qualquer parte do Site, das Informações ou dos presentes Termos de Uso. Caso estes Termos de Uso sejam alterados, a Dutra Gestão publicará a versão atualizada neste Site. Ao continuar a usar o Site, você concorda em estar vinculado aos Termos de Uso conforme alterados. Se estes Termos de Uso ou qualquer parte deles forem considerados ilegais, inválidos ou inexequíveis sob as leis de qualquer estado ou país em que estes Termos de Uso se destinem a ser efetivos, então, na medida em que as disposições sejam ilegais, inválidas ou inexequíveis, tais disposições devem ser tratadas como apartadas e excluídas destes Termos de Uso e as demais disposições destes Termos de Uso devem ser mantidas, permanecer em pleno vigor e efeito e continuar a ser vinculativa e exequível nesse estado ou país. Esses Termos de Uso estão sujeitos a lei brasileira e jurisdição dos tribunais brasileiros.